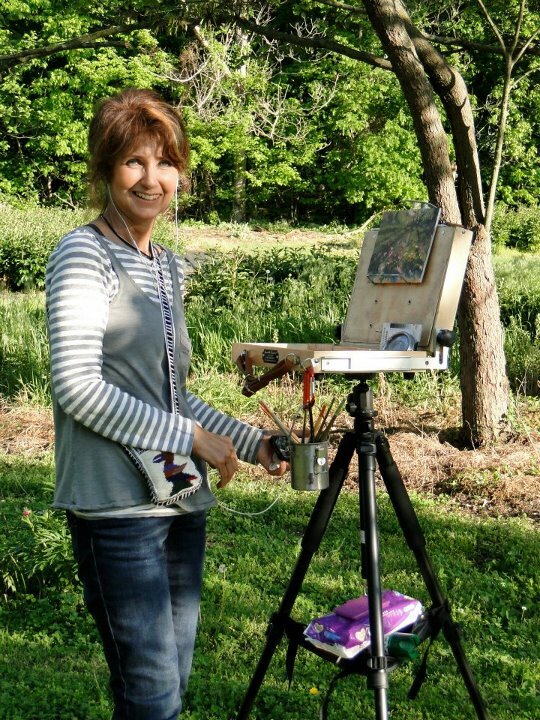 Donna Shortt is a life-long Indiana resident and skilled in the use of oils and pastels. She enjoys painting landscapes from life with other painters. She also enjoys painting from light-filled still life sets in her studio and with another group that meets weekly. She was honored to be part of a pastel exhibit at the Richmond Indiana Art Museum in 2008 and held a solo exhibit at the Johnson County Museum of History, Franklin Indiana, in 2011. Two purchase awards and a merit award in Richmond, Indiana topped off 2013 and several of her plein air paintings were included in the 2013 book “Painting Indiana III: Dignity of Place”. In 2014 one of her pastels received an “Outstanding Pastel” award from the Hoosier Salon Annual Exhibit. She holds weekly mentoring classes in both oil painting and pastel painting. She is a member of the Hoosier Salon, Indiana Artists Club, Brown County Art Guild, Chicago Pastel Painters, Pastel Society of America, Oil Painters of America, Southside Art League, Indiana Artisan and Indiana Plein Air Painters. Artists Statement: My Inspiration to paint starts with the light at early morning or late afternoon and I would be content to spend most of my time capturing it. It is a 50/50 relationship with both the oil and pastel mediums now as I love both equally. I consider each painting not a destination but a journey, always looking forward to working on the next blank surface.